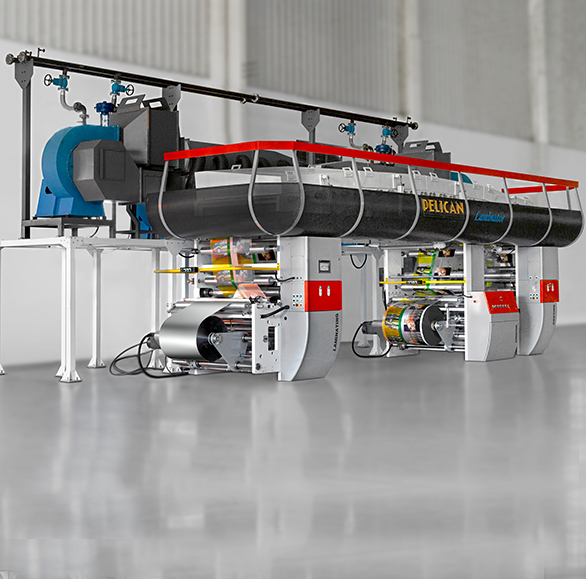 The machine has been specially designed, focusing on various jobs on solvent-based applications over plastic films. 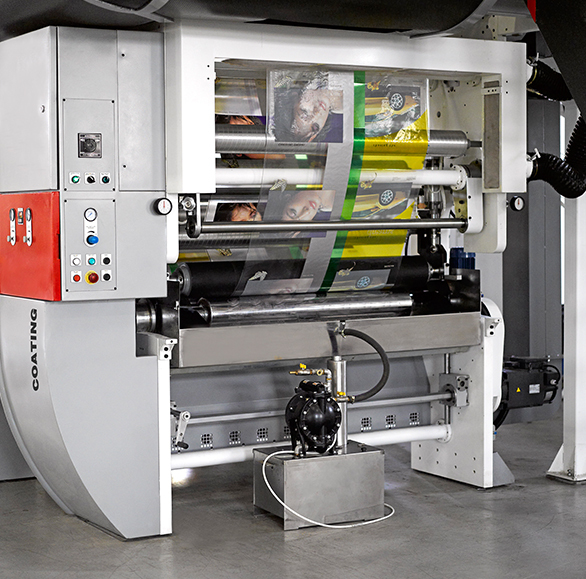 Created to cover the growing needs of solvent-base lamination on flexible packaging market. 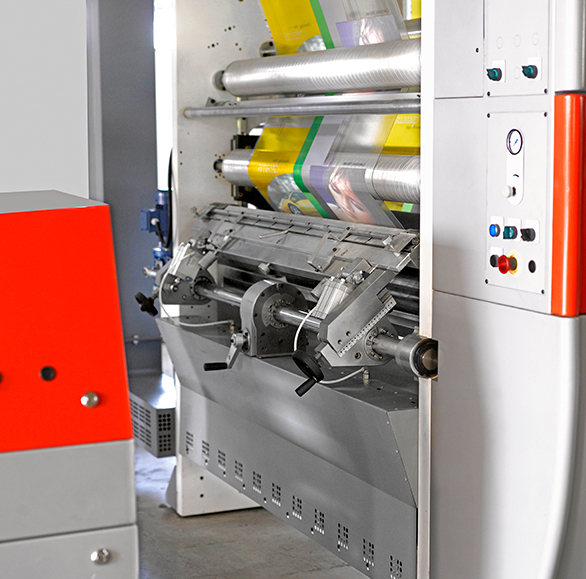 Enhanced performance, on one hand, and the easy operating features on the other, are the main reason to select this machtne, joined with its abtlity to handle a wide range of laminating jobs. The machine has been specifically designed, focusing on short and medium runs on solvent-base applications over plastic films. Servo based closed loop controller for web handling by using latest generatton of electronics. Entire machine operation is controlled and supervises by high performance motion controller having itS own intelligent software. The mechanical construction of each component. which undergoes extensive tests. ensures optimum performance and longer equipment life. Shaft-less unwind & rewind web tension controlled by using latest generation Servo Motor and Servo Drive The system maintains the set tension precisely throughout the reel run The system mainly composed of AC Servo Drive and Servo Motor, pneumatically loaded low friction dancing roller assembly and load cell for tension feed-back and actual tension display. 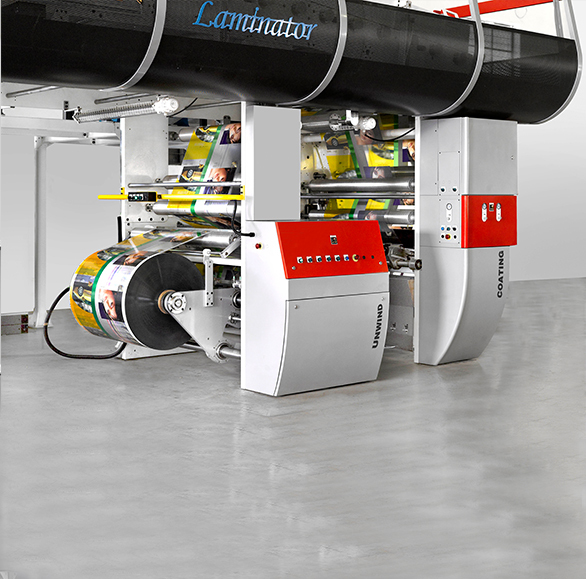 The laminator unit comprises a heated chrome plated, ground steel roll a rider roll. coated with hard rubber & chrome plated steel back-up roller which is driven by pneumatic pistons which can be adjusted at both ends. The steel back-up roller is press against the rubber roller for a total parallelism and to avoid any rubber roller flexion. 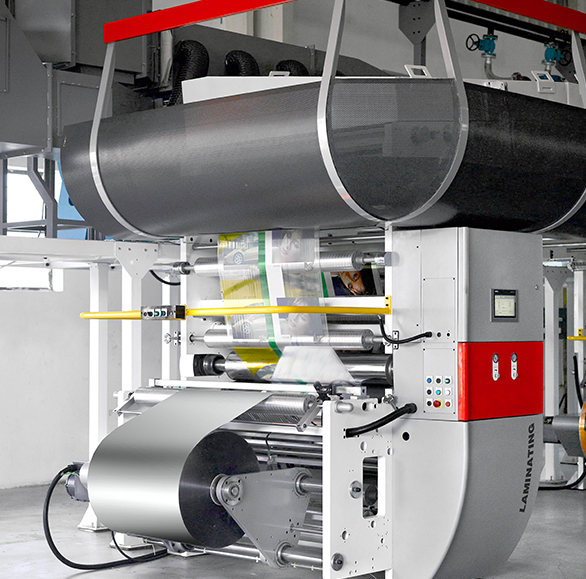 The laminator steel roll is driven by an independent motor synchronized with the coating unit motor by load cells, so the tension on the web carrying the adhesive to the point of lamination can be controlled with great prectsion. Specially designed doctor blade group ensures a straight profile of the blade resulting in lesser blade pressure, better printing quality and longer cylinder life. Coating unit is transmitted by an AC servomotor through a gear Box. 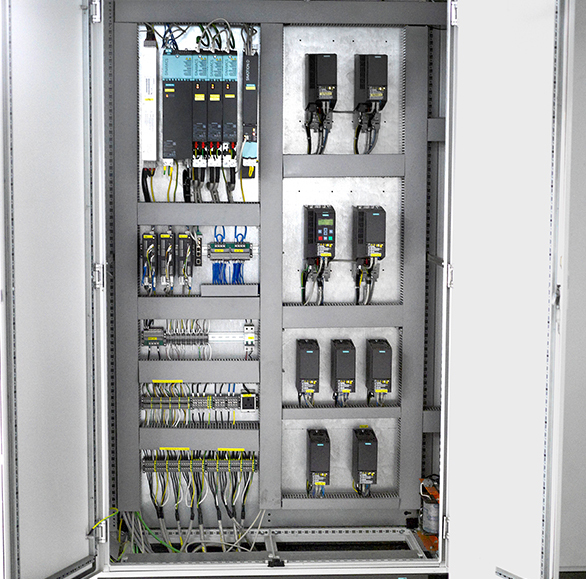 Speed can be set by means of push buttons and monitored on the display (touch screen or HMI) The AC servo drive ensures that the set speed ts maintain. Thermic fluid base 8mtrs insulated drying chamber having Four separate zones which consists of Two AC frequency drive controlled blower. thermic fluid heat exchanger, auto temperature controller, air transport duct etc. 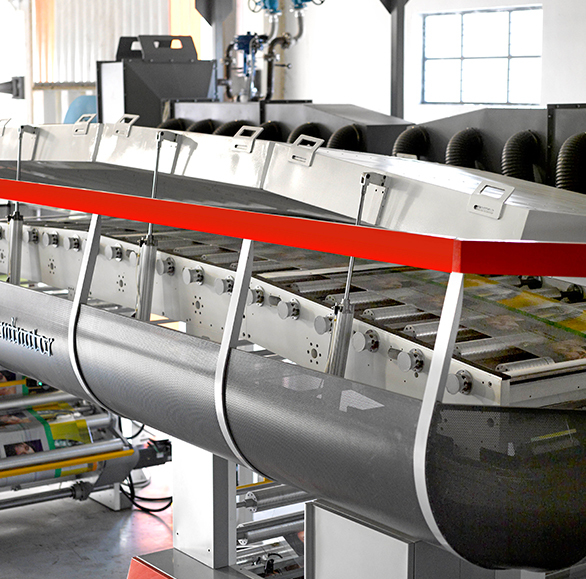 Four zones pneumatically open able drying hood for web threading and cleaning. Specially designed, low friction-low inertia, dynamically balanced idle rollers, mounted on low friction bearings to enhance rotational smoothness. Properly grooved, ground and balanced the rollers are made of specially graded anti-corrosion aluminum alloy.